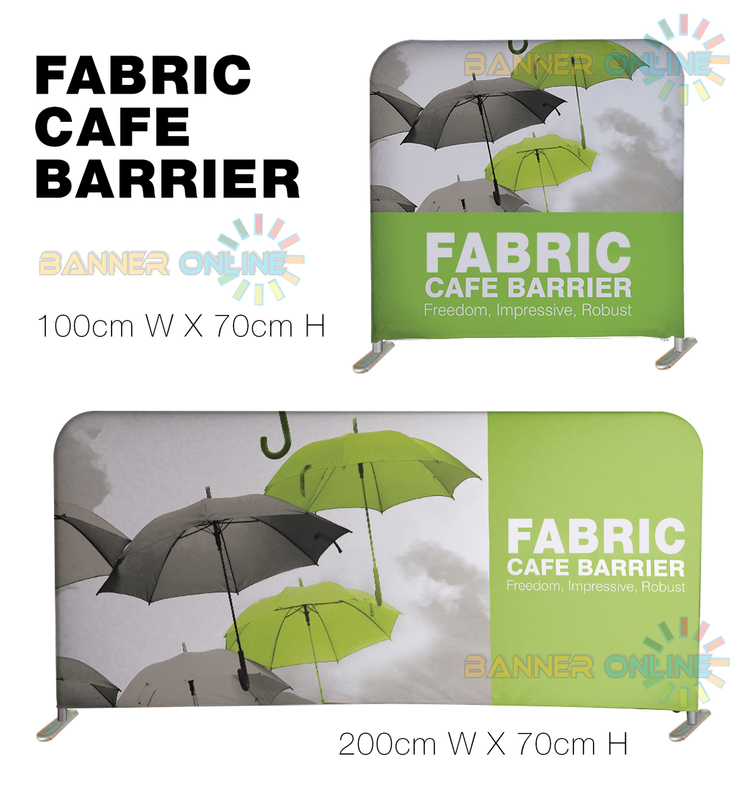 Fabric Barrier is also called Cafe Barrier, Event Barrier, Traffic Barrier. This Fabric Barrier Product is made of aluminum structure, which is strong and light weight. 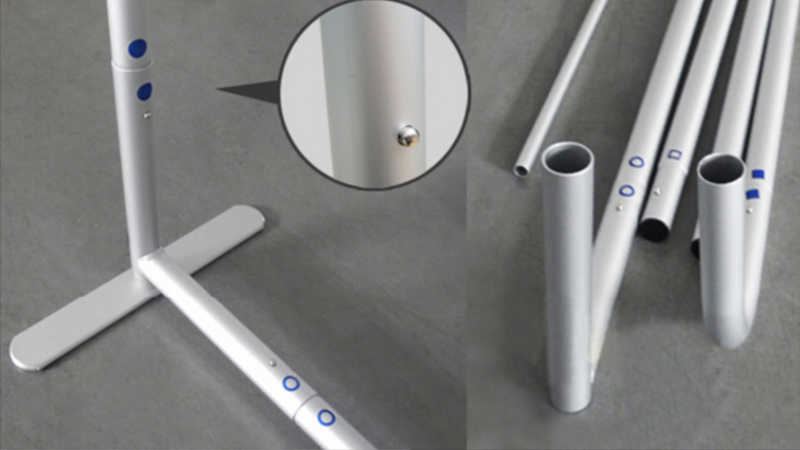 The frame is so easy to be assembled, and it can be pack down to package whic is less than 1m long. it's light weight and easy to carry on. 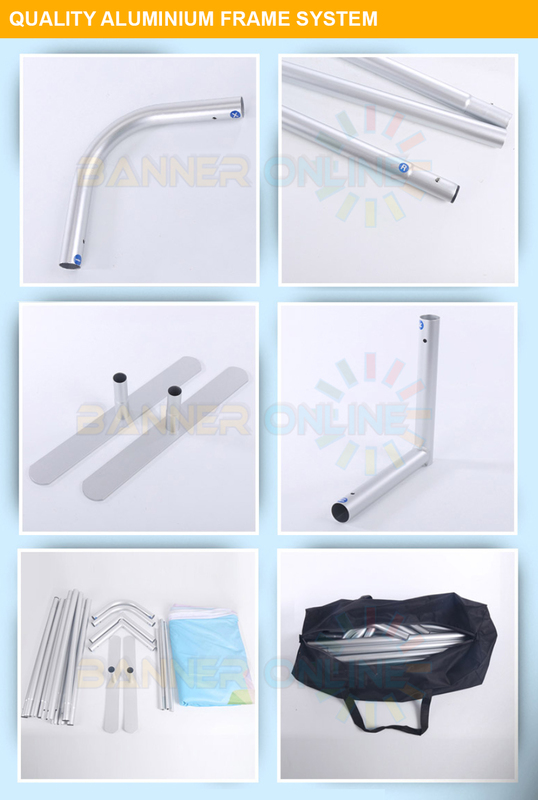 To assemble it, just simply connect each parts together, you can built up your barrier in few minutes. . The barrier printing is done on 250gsm premium fabric, which gives you professional looking and luxury feeling of your branding. 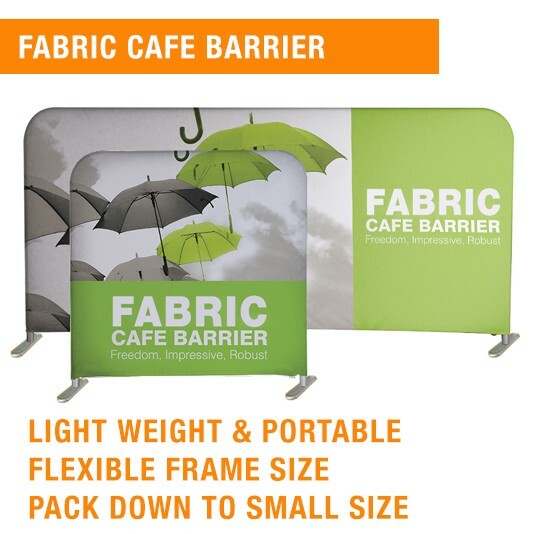 Price includes Aluminum Barrier Frame + Premium Quality Full Color Printed Fabric (Single Side/Double Side Printing Available) + Easy Travel Carry Bag.